It is time to get your Big Game Face on and begin this year’s hunting adventure! Chasing Bulls across Montana is the most demanding and exciting hunting adventure you can tackle. 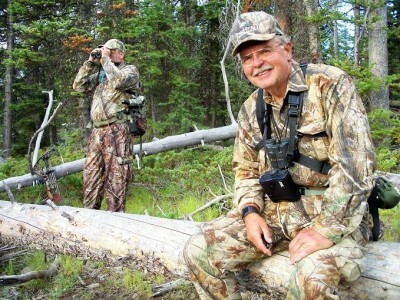 Hunters only have so many elk hunts in their bodies, so make sure that you are ready. Bowhunting for Bull elk is my favorite hunt of all time. Two weeks in September listening to screaming bulls and running the parks and treelines is a spiritual reawakening. The ritual of elk hunting means you need to prepare. Exercising and conditioning are a must. Your cardio and muscles need to be prepared to carry you through the hunt. Early elk hunting occurs at higher altitudes where oxygen is thinner. The loose rocks, steep climbs, and stress on your body are extreme. Practicing your shooting is essential. If you hit an 800 lb. bull properly, “they will lay down like babies”. This means a double lung kill shot. I rarely attempt any other angled shot or shot over 20 yards. After tracking several bulls that were not hit properly, I am a believer of taking the one Best close shot. Archery practice allows you to prepare for that special moment. You want your body to become almost mechanical with your shooting so you can focus on the critter. Calling requires practice! Most hunters are lousy callers. They don’t practice until they hit the woods. Their plastic diaphragms are brittle, their bugles are cracked and their excuses are many. Learn how to use a mouth diaphragm call. This will allow you to keep your hands free so you can shoot. The tickle of a mouth call discourages many hunters from using them. Practice will overcome the sensation. No other elk call is as versatile and natural sounding as a diaphragm call. You can add a bugle tube to it and complete every call perfectly. Less calling becomes more when your calls are perfect. The purpose of calling is to bring the Bull into close range. Not calling for elk is like cake without icing. Test out this season’s new gear now. Break in your new boots early. Try on your new clothes and do your homework now. Don’t wait until you hit the woods. Blisters and uncomfortable gear can ruin a hunt. Each season, if you are lucky, you will have one great opportunity to tag your bull. If you get Bullish for your hunt, this will become the moment when preparation plus a plan equals success. Anything less means you are just prepared with excuses. This is your season, make the most of it!